Whole grains are nutrient-dense foods that provide high concentrations of carbohydrates, phytonutrients, vitamins, minerals and other nutrients. 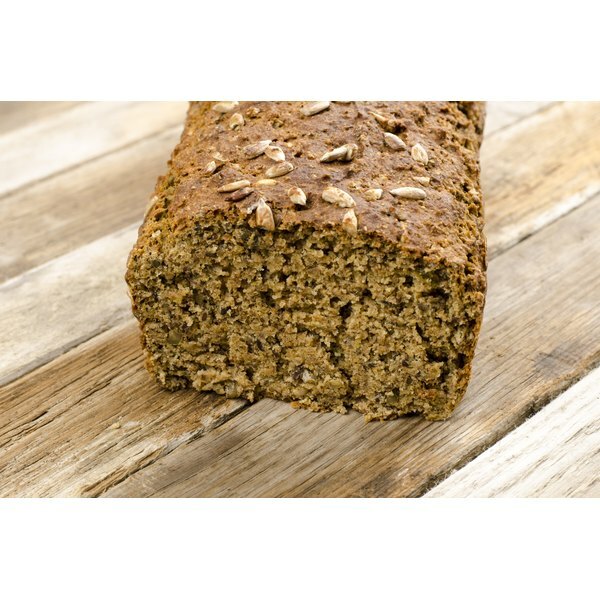 Whole grains are the entire kernel of the plant, which includes the bran, germ and endosperm. They may be eaten whole, split, cracked, ground or flaked. Eating whole grains may reduce your risk of chronic diseases that include cardiovascular disease, digestive disorders and some types of cancer. Whole grains are a rich source of carbohydrates that include starch and fiber. Starch is a complex structure that contains numerous sugar molecules. Fiber is an indigestible substance that increases the bulk of your stools and moves the waste through your digestive tract. Your body breaks down carbohydrates into single sugar molecules which your cells metabolize for energy. Whole grains, such as barley, are generally low glycemic index foods which contain sugars your body slowly absorbs into the blood. Refined grains, such as white bread, are generally high glycemic index foods. They contain sugars that are rapidly absorbed into the blood. Eating low glycemic foods enables you to control your blood sugar and reduce the risk of insulin resistance, diabetes and cardiovascular disease, whereas high glycemic foods increase your risk of insulin resistance, diabetes and cardiovascular disease. Whole grains contain healthy fats, primarily polyunsaturated fatty acids such as oleic acid and linoleic acid, according to research by scientists at General Mills Bell Institute of Health and Nutrition in Golden Valley, Minnesota, and published in the "Journal of Nutrition" in May 2011. Linoleic acid is an essential fatty acid your body must derive from foods because humans are unable to synthesize it. Nonetheless, your body is able to convert linoleic acid into other fats such as arachidonic acid. Polyunsaturated fatty acids play a vital role in cell membrane health and stability. Whole grains are among the best sources of vitamin E. Vitamin E is a fat soluble vitamin and antioxidant that protects your cell membranes from harmful chemicals and toxins. Vitamin E also prevents the buildup of plaque in the arteries, stimulates your immune system and lowers the risk of cataracts. Whole grains are among the foods with the greatest concentrations of magnesium in the human diet. Magnesium is a mineral you need for healthy bones and muscles. Magnesium is essential for energy metabolism, particularly when converting carbohydrates into energy. The mineral is also involved with the conduction of nerve impulses, muscle contraction and heart rhythm.